Whatever your creative direction: writer, artist, business person, or spiritual seeker, at times you will feel about as creative and inspired as a cup of mud. Although it’s hard to believe, this is a good thing. Creativity ebbs and flows. Enjoy this fallow period. Your Tarot Creativity Journal can help you through it. Sometimes you will know exactly why you’re not feeling creative. You may have the world’s worst case of flu. Or you’re too busy. You’re doing overtime at work or have taken on so many projects you feel like a dog chasing its tail. If you’re just too busy to cope, it’s best to put your creative project on hold for a few days. Alternatively, you may be experiencing a dose of the blahs. You’re depressed. You’ve lost your creative spark. You look at your creative project and can’t see anything worthwhile in it. Or perhaps you’ve finished a project, and can’t find new inspiration. Write today’s date, the current time, and a question in your Tarot Creativity Journal. Decide how many cards you will select in answer to your question. Picking a single card should be sufficient. You can always pick another card if you need more information. 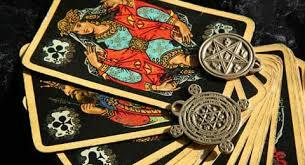 Take out your tarot deck, and shuffle it meditatively face down while thinking in a relaxed way about your question. It’s important that you relax. Whenever you work with the deck, try not to strain. Stress blocks out information from your unconscious mind. If you’re very tense, take a few long, slow deep breaths with your eyes closed before you shuffle. Then take a moment to visualise a relaxing scene: lying on a beach with the sun warming you, perhaps. When you’re ready, cut the deck and pick a card. 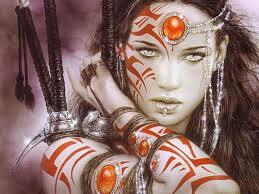 Look at the card you’ve chosen, and write the card’s name in your Tarot Creativity Journal. 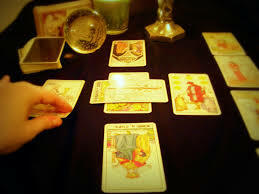 Before you think about what the card means in relation to your question, briefly describe the card. You don’t need to write a long screed or a complete description. Just four or five sentences about the card. A youth, lavishly dressed, is standing at the sea shore. He is looking at a large golden cup in his right hand. The cup contains a fish, which seems to be talking to him. The youth is surprised: he’s raised his cup for a toast, and out pops a fish. The Page of Cups is telling me that when I write in my Tarot Creativity Journal, I will be surprised by the inspiration I receive. In various mythological systems, the fish symbolizes the unconscious mind or life energy, so writing in my Tarot Creativity Journal is a way to discover what my unconscious mind wants to reveal to me. What does your unconscious mind want to tell you? Whatever it is, it’s important. You may gain new inspiration, or you may discover why you’re blocked. You might find a completely new direction for your work, or the answer to a question which has been plaguing you in another area of your life.